Here at the Bearwood Blog we like food fairs and farmers' markets, and only recently praised the splendid Leamington Spa Food Fair, saying we could do something like that in Bearwood. Well, now, the Bearwood Pantry folk are putting on a Bearwood Food Fair on Saturday week at Bearwood Baptist Church. More about that on here over the next week, but for now, in the first of an irregular feature, we want to sing the praises of our very own Bearwood businesses. Come rain or shine, all year round, our local traders here in Bearwood are not only providing excellent service and value, they are contributing to the local economy, providing employment, paying their taxes and overheads, and hoping to have something left at the end of it for themselves. 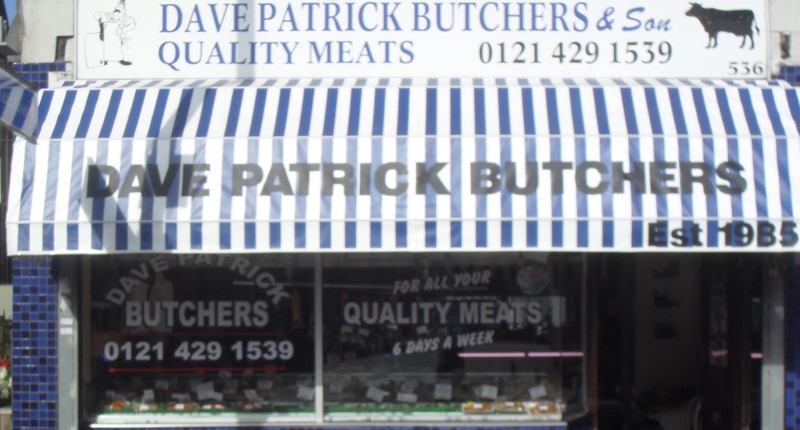 Dave Patrick & Son Butchers Ltd is Just such a business, a small family run traditional Butchers which has served Bearwood & its surrounding areas for over 25 years. Originally started up by Dave Holt & his business partner Pat Newton, the 2 of them worked together for approximately 12 years until Pat decided to retire, so Dave carried on the business with the help of his only Son Jamie. In 2013 Dave decided to take early retirement passing on the business to Jamie. The shop is presently run by Jamie along with his 2 employees, Craig Smith & Lee Stokes. 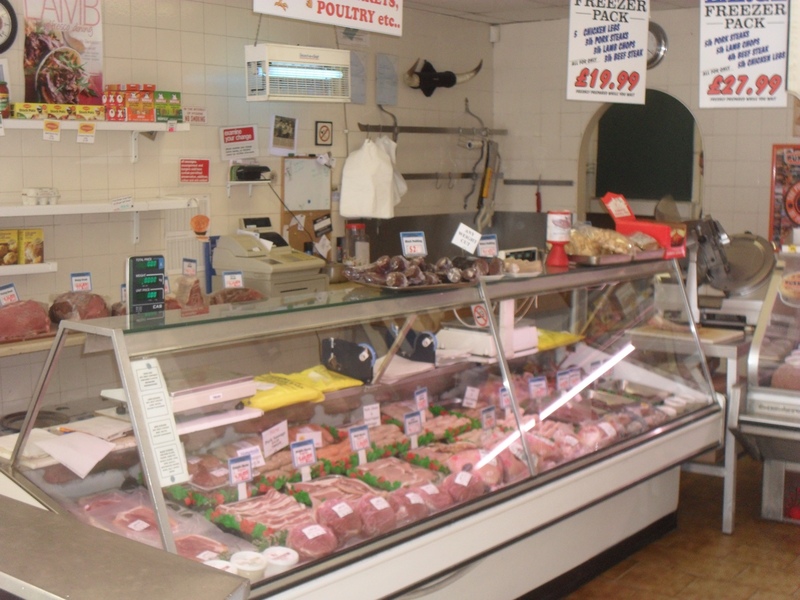 Dave Patrick & Son Butchers offers a wide variety of Fresh Meat at competative prices. All meat in bought in fresh in carcus form and boned out and cut on the premises, Lamb, Pork, Chicken & beef is all 100% British produced. Whole joints of meat are available 6 days a week, and if its not on show we can cut to the weight or purchase price required by the customer. Our 3 packs for £5.00 is often popular with families on a budget, offering a choice of Steak, a variety of flavoured Chicken including BBQ & Cajun and also Minted Lamb Chops. We have a variety of 7 different flavoured Sausages, often making the choice a difficult one !!! As well as Fresh Meat Dave Patrick's also sells Fresh Eggs, including Free Range, Cooked Meats and the famous Pukka Pies. We also offer a small selection of Fresh Vegetables. Orders can be taken for Christmas, and we also offer a Christmas Saving Club. We are a friendly, chatty bunch, so why not come in and see what your Local Butchers has to offer ! Meat is always nice from here, the lads are friendly and chatty, keep up the good work!